FC Barcelona won the Champions League in 2014-15 and is by many considered to be the very best team in the world at the moment. With legendary players such as Lionel Messi, Luis Suarez and Neymar at the top they score goals all the time, and with a solid defense they are a team almost impossible to beat. 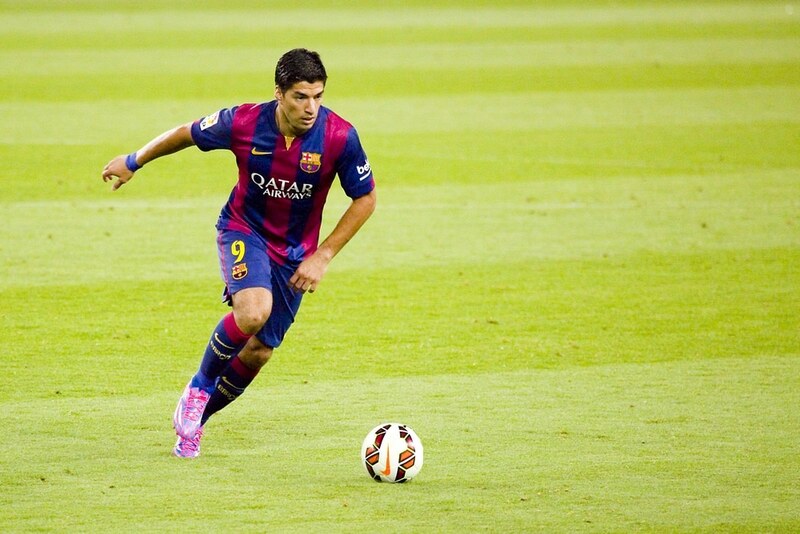 Read more about FC Barcelona in this article and find out how to watch Barcelona online. Futbol Club Barcelona or better known as FC Barcelona or Barcelona is a Spanish-catalan professional football club based in Barcelona Spain. The club was founded in 1899 by a bunch of footballers including Joan Gamper who was also the leader of the club. Barcelona quickly became one of the symbols of the Catalan culture. Barcelona is one of the most popular football clubs in Spain which is also the second most valuable sports team in the entire world and the world’s richest team as well. During the years the club has won 23 La Liga, 27 Copa del Rey, 11 Supercopa España, 2 Copa de la Liga, 3 Copa Eva Duarte trophies and so on. Apart from being really successful and popular FC Barcelona is also the most supported clubs on the whole world and it has the largest social media following the life of the club as well. The most famous Barcelona players are Maradona the Argentine footballer who played in Barcelona from 1982 to 1984, László Kubala who scored 274 goals in his 345 appearances between 1950 and 1961, Ronaldinho, who was the best player of the world for a while, Josep Guardiola, Ronaldo, Rivaldo who was famous for his ball handling with his left leg and so on. In the present team consists Lionel Messi who is FC Barcelona’s all-time highest goal keeper with 440 goals and also considered as one of the greatest footballers of all time, Gerard Piquè, Pedro Rodriguez, Luis Suárez, Neymar and so on. Camp Nou Stadium gives home to the famous football team FC Barcelona and it has been of the official home to Barcelona since 1957. 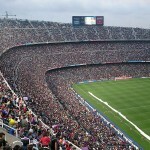 The capacity of the stadium is around 99354 which makes it the largest stadiums in whole Spain and the second largest in Europe. 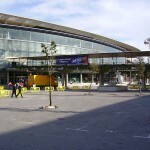 The Camp Nou regularly hosts several international football competitions. The stadium gave home to two UEFA Champions League. Do you want to be one of the lucky persons who can watch a FC Barcelona match togheter with almost 100,000 other people at Nou Camp? Then you better grab hold of your tickets as soon as possible. If you visit Viagogo you can buy tickets for all sorts of FC Barcelona matches, not only home matches in the Liga BBVA, but also Copa del Rey matches, Champions League matches and other matches FC Barcelona might be playing! 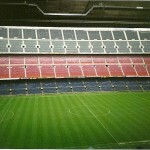 If you want to visit the FC Barcelona museum and take a look the at stadium, buy your tickets at Viator. Wherever there is action and great teams playing, Barcelona is there. And that is why you will want to know not only how to watch Liga BBVA online as you look for information on watching Barcelona online, but you will also want to know how to watch Copa del Rey and the Champions League online. We have already written articles on these subjects, so instead of writing it all down in this article, we recommend that you read the following three articles for answers to the questions you are looking for. And yes we promise, these articles will in fact give you the answer, so you will not have to jump from those sites to another sites for the solution!